Account Manager 1, Inside Sales Channel at Dell Inc.
Products and services that break new ground deserve sales people who do the same. That’s where our Inside Sales Channel team comes in. Channel Representatives play a key role in growing business for Dell. Assigned to specialize in a particular market, they’re responsible for all sales activities at a dedicated partner site. From developing new accounts to expanding existing ones, they’re champions of our game-changing products and services. As they drive demand, they drive revenue – and they drive Dell forward to an even more exciting future. 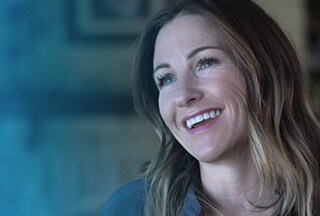 If you’re ready to specialize in innovation and build sales by forging excellent relationships, this is your opportunity to develop with Dell. Responsible for attaining 100% or more of set sales quota each quarter and execute against corporate/ segment initiatives. This includes initiatives intended to solidify relationships with Dell such as Enterprise, S&P (Software and Peripherals) and Services. Provide sales, technical, and administrative information to existing partner base to receive bids/request for quotes, price opportunities effectively, obtain special pricing authorization and respond in a timely manner to requests. Understanding & execution of purchase order, credit/collections, and customer care forms. Enable customers through online and self-service tools. Build relationships with assigned contacts within your account set, identifying the right resources to engage that will help the partner maximize their potential revenue spend with Dell. Consistently manage a pipeline of opportunities. Support a weekly forecast process and be able to accurately predict weekly top opportunities/identify potential upside. Report back to core team of all activities, wins/losses. All-inclusive utilization of the Salesforce.com and Affinity tools. Articulate the differentiated value proposition to both internal and external audience while continually championing Dell's Global Commercial Channel program. 2+ years of relevant experience or equivalent combination of higher education and work experience. Proven selling ability in previous job. Strong knowledge of computer hardware, software, and peripherals while effectively knowing how to use software packages such as Microsoft Word, Excel, and PowerPoint. Effectively demonstrates a strong track record of building business relationships resulting in successful outcomes, preferably in a sales environment. Strong communication skills (both verbal & written) and time management skills (ability to prioritize and reprioritize in a complex and changing environment). Must be able to work in a team environment and demonstrate strong leadership, presentation, and planning ability.